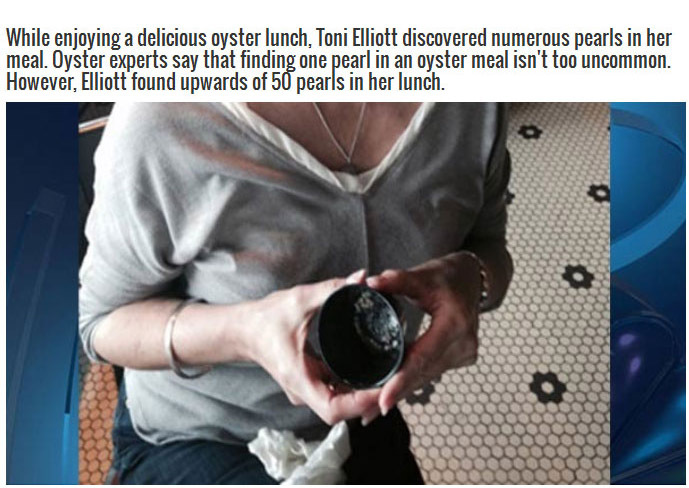 Toni Elliott got much more than she bargained for when she ordered oysters for lunch. 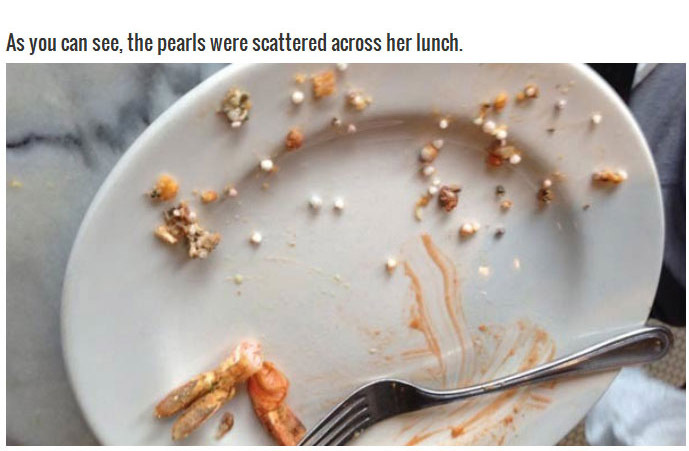 While she was eating them she found a collection of pearls worth a small fortune. and for about $15 for a dozen - I think she broke even, or left with nice story to tell. AC, enough with click baiting. I think you would be lucky to get $5 for each of those pearls. For them to be worth that much they will have to be polished and be of a nice shape, and have reasonable size. 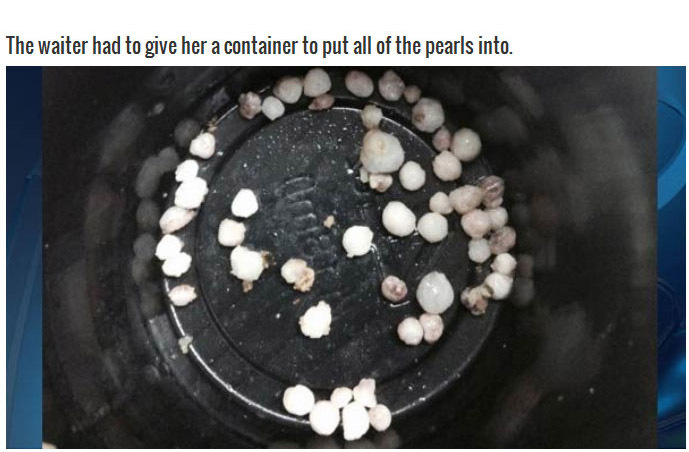 You buy those pearls for $2 - $3 each after they have been polished and a hole drilled in them (for jewlery). If they were pink, tahitan (black), golden, or just a very large size the value would go up drastically. However, taking the end retail price for refined pearls for judging the value does not work.